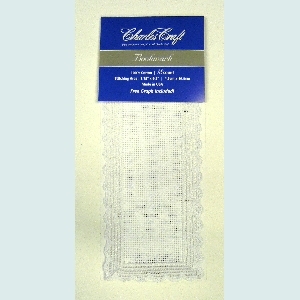 These 18 Count Bookmarks, Fringed on top & bottom or lace trimmed on all 4 sides, are ready for cross stitching. Stitching areas measure 2.5� x 8� for the fringed and 3� x 8� for lace trimmed (approximate 32 x 92 spaces). 100% cotton. Free design chart included.